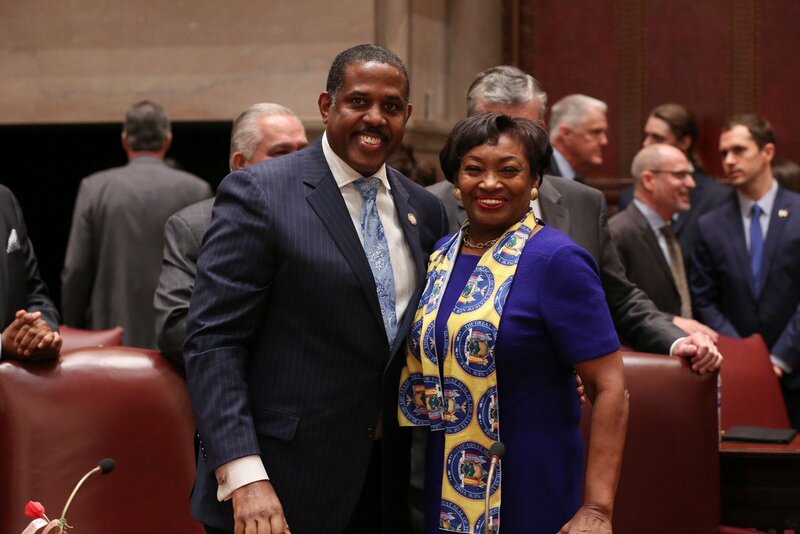 The newly-seated Democratic majority in the state Senate does not seem inclined to take any formal action against one of its members, Senator Kevin Parker of Brooklyn, for an inappropriate Twitter outburst last month, directed at a Republican Senate staffer, or his apparent misuse of his official parking placard. In tweets on December 18, GOP spokesperson Candice Giove had highlighted what seemed to be Parker’s inappropriate use of his parking placard. Parker responded with a shocking tweet, writing “Kill yourself!” to Giove. He later deleted the tweet but not before it was widely shared and memorialized, becoming the subject of a good deal of attention both on social media and in news reports. The incident sparked a quick backlash against Parker, who has a history of losing his temper and getting in trouble for it. Elected officials, including those within his party, were quick to condemn his flippant remark about suicide. And many also raised the underlying question of whether he was among the public officials, elected and not, that have been abusing the parking privileges they receive as a perk of the job, which has become a broader issue in New York City in recent years. But he refused to address whether he had improperly used his parking placard. “It’s a tempest in a teacup, I’m not going down that road,” he said. And he would not reveal details of how the matter was resolved. “That’s a private conversation between me and the majority leader,” he said. There are several avenues for holding state legislators to account for their conduct in office. Besides the ethics committee, there are the oversight and enforcement bodies -- the Joint Commission on Public Ethics and the Legislative Ethics Commission -- charged with investigating and penalizing violations of Public Officers Law (though the law is written vaguely and may be hard to apply to Parker’s situation). It’s unclear if there have been any complaints filed with either JCOPE or the LEC, or if either body is looking into the incident. Such investigations are usually kept confidential under state law. “We can’t comment on anything that is or might be an investigative matter,” said Walter McClure, a JCOPE spokesperson. 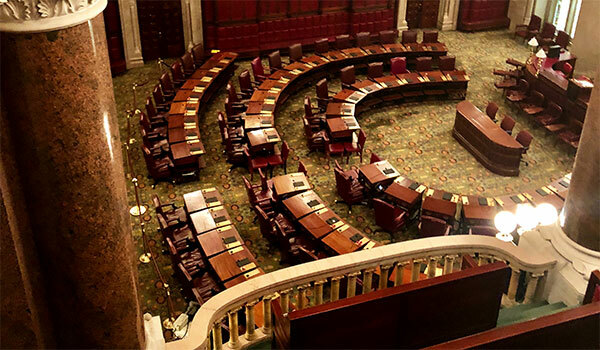 Alex Camarda, senior policy advisor at Reinvent Albany, a group that advocates for government reform, transparency, and accountability, said Parker’s inappropriate comments and alleged placard misuse “ought to be looked at” by both the Senate and JCOPE. “They should err on the side of acting formally, even for low-level infractions, because it sets a serious tone,” he said. For our year-end show we look back at the top storylines of 2018 in New York politics and preview our top storylines to watch for 2019! The voting machines are back in storage, the “Vote Here” signs are gone, and politics in New York have entered the interregnum between Election Day and the start of the new term in Albany, when a newly-Democratic State Senate and a re-elected Democratic Assembly majority and Democratic governor will begin to set the direction of the Empire State in 2019 -- while a new Democratic majority in the U.S. House of Representatives vies with a Republican U.S. Senate and President Trump over where and how to steer the nation. The rhetoric, posturing, and proposals of the campaign will give way to the rhetoric and posturing -- and, ultimately, policymaking -- of government. It’s too early to know how the new balances of power will play out, but some of the newly powerful or electorally emboldened are already giving indications of some of their priorities, which, in combination with campaign trail promises, form the outline of what to expect in Albany in the year ahead. Governor Andrew Cuomo and legislative leaders have quickly provided a sense of what they plan to tackle first and what might be on the backburner as the state governing session begins in January. As is always the case, so much of what happens in the state capital will impact New York City, and though there were no elections for city-level positions this year, those who live and work in the city have a great deal at stake as the new state government takes shape. Mayor Bill de Blasio and others are already laying out their priorities for 2019 in Albany, where the mayor and other city Democrats hope the atmosphere will be more friendly toward the five boroughs than in the past. Still, much will happen at the city level in the year ahead that is not necessarily a product of Albany decision-making. Even as he seeks legislative and funding changes in the state capital, de Blasio has city challenges to address, programs to implement, and major decisions to make. There is a Charter Revision Commission exploring sweeping changes to how city government operates, and there will be a handful of elections in the city, starting with a special election for Public Advocate, likely in February. There will be a great deal at stake in 2019. Advocates, organizers, strategists, and elected and appointed officials have already provided a long list of topics and decisions that will come to the fore next year. So City Limits, Gotham Gazette, and other partners are teaming up over the next eight weeks to explore major policy issues where action is expected over the next 12 months. Each week we will bring you an in-depth look at one issue area with comprehensive reporting, broadcast interviews, opinion columns, and other features to provide insight into the policies, politics, and people involved and set the stage for what will be an incredibly important year in New York City, New York State, and national politics. First, an overview of what’s on hand. The story begins in Albany. The 2019 landscape in the state capital will be unlike anything seen in roughly a decade: full Democratic control of the executive and legislative branches. This time around is likely to be far more functional than last, when the Senate Democratic conference quickly devolved into chaos and a weak governor was unable to keep his party-mates from disgracing themselves (several of those involved have served time in jail) and bringing legislative business to a long halt. In 2019, Cuomo enters a third term with wind at his back, major infrastructure projects in motion, and a long to-do list; while Democratic majorities in the Assembly and Senate finally get the opportunity they’ve been waiting for to pass an agenda repeatedly stalled by Republicans in the upper chamber. The questions that hang over this new arrangement include to what extent various Democrats with varied priorities are able to agree upon an order of operation and the specific details of policies they’ve championed but never actually had the power to pass into law without compromising with Republicans. Expected Senate Majority Leader Andrea Stewart-Cousins and others have already given indication of what they see as the top priorities with widespread agreement. Cuomo, who has appeared mostly happy with a split Legislature, now faces the challenge of dictating terms to legislative majorities that may want to move faster and further left than he’s comfortable with, though Democrats also know that the next legislative elections are now less than two years away and their members from swing suburban districts need to be especially careful with ‘pocketbook’ issues. Taxpayers across the state will soon be adjusting to the full new reality of federal tax reforms, which capped state and local deductions and are of great concern to suburban homeowners. Plus, the state’s current “millionaires tax” is set to expire in 2019 and Cuomo hasn’t yet indicated his stance on renewing it, even as he faces upcoming budget deficits. Cuomo has been clear that he plans to continue the fiscal restraint and center-left governance of his first two terms. At the same time, he’s poised to push through many significant policies his critics have blamed him for not delivering, while addressing the twin crises of his second term: the failing New York City subways and the corruption that has continued to plague state government, recently in the governor’s own inner circle. Cuomo wants to keep state spending increases to roughly two percent annually, to keep an annual cap on property tax growth everywhere outside New York City, and to take steps to mitigate the effects of federal tax reform, especially the new cap on state and local deductions. But he also has a lengthy professed agenda for 2019 and his larger third term, including voting reform, additional gun control regulations, the Child Victims Act, codifying Roe v. Wade abortion protections into state law, the Dream Act, the Gender Expression Non-Discrimination Act (GENDA), and more. For the most part, the policy agenda Cuomo has laid out, which is noticeably light on new spending, should not be a heavy lift in either house of the Legislature with both under Democratic control. 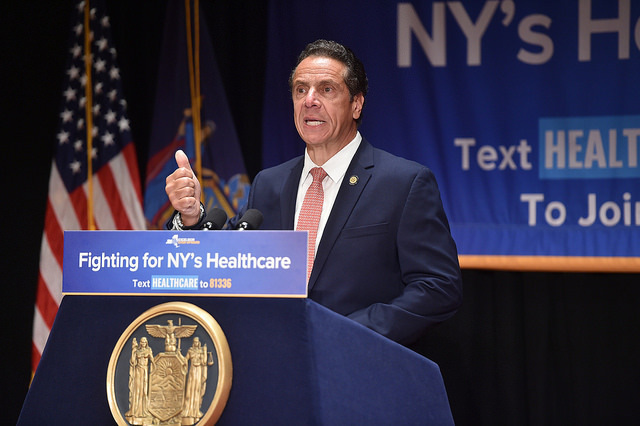 There may very well be areas of conflict, however, even if legislators stay away from raising taxes or pursuing policies like single-payer health care that Cuomo has thrown cold water on. These include government ethics and campaign finance reform, funding the MTA, rent regulations, education funding, charter schools, criminal justice reform, and others. How to move the state ahead in combating climate change may also be a source of disagreement in terms of degree. The governor knows he must -- and has promised to -- move ahead with congestion pricing for Manhattan travel as part of funding the MTA and the Fast Forward subway modernization plan that is ballparked at around $35 billion. It’s unclear where the rest of the needed money will come from, though Cuomo has already indicated he expects the New York City government to kick in more (de Blasio continues to call for an additional tax on high-earners, which Cuomo has mocked). The governor even got several Senate candidates on Long Island to sign a pledge that they’d squeeze the city for more transit money -- not the only episode of the fall campaign to raise the possibility that Cuomo is readying to continue to hold sway over policy-making in Albany no matter how other pieces may shift. The governor is also frustrated with hearing about his failures on government ethics and campaign finance reform, and will likely look to put that talk to bed by the time a new state budget is passed at the end of March. The details of any such deals will be closely examined for whether they truly advance the causes of good government and provide the best possible circumstances for both preventing and punishing corruption. A major unknown is whether some of the newly elected State Senate Democrats, especially those on Long Island, will feel more beholden to Cuomo than to the conference itself, and help him restrain the larger group. On the other hand, it is unclear how the new group of state senators who defeated members of what was the Independent Democratic Conference, some of whom cross-endorsed with Cynthia Nixon in her challenge to Cuomo, will approach the governor and raising their voices within the Senate majority. Democrats in the state Assembly, which is dominated by New York City members and led by Speaker Carl Heastie of the Bronx, may be itching to enact an agenda they have repeatedly passed that has not had Cuomo’s full support and that is not necessarily the same agenda as the new Senate Democratic majority. Assembly Democrats have spent years passing one-house bills and budgets advancing progressive priorities, including things like single-payer health care, higher taxes on top earners, tighter rent regulations, and sweeping criminal justice reforms. 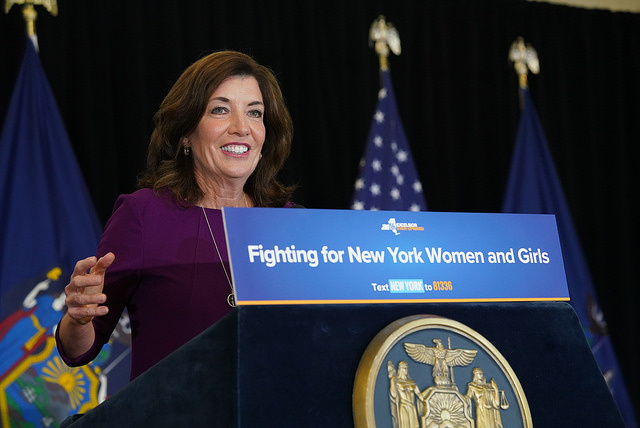 Still, there is much that Democrats in the Assembly, Senate, and governor’s mansion agree on and will all-but-certainly find common ground to pass, starting with a handful of policies that Cuomo, Stewart-Cousins, and Heastie have already mentioned since the election results came in: voting reform, women’s reproductive choice, gun control, and more. “We need ethics reform and there's no reason not to pass it,” he continued, mentioning making legislative positions full-time with no outside income, campaign finance reform (including closure of the LLC loophole), and voting reform, including early voting. “The women's right to choose has to be protected,” Cuomo said, referring to the Reproductive Health Act, which would codify Roe v. Wade into state law. He also mentioned the Dream Act, “gun safety” legislation, which would likely include a “red flag bill” to remove guns from the homes of potentially troubled young people and extending the background check wait time from three to ten days. All of the issues listed by Cuomo are ones that Stewart-Cousins, members of her conference, and Heastie have mentioned in the first days after the election as top priorities. And even as Cuomo has pledged to serve another four-year term and there are very serious questions about his viability as a presidential candidate, he has regularly stoked the flames and after another resounding electoral victory, may be poised to flirt even more explicitly with a run for president. One possibility is that Cuomo focuses intently on moving an aggressive progressive agenda through in the first few months of the Albany year, then takes his new list of accomplishments to a few of the necessary stops on a presidential exploration tour, such as New Hampshire. Another uncertainty for the year ahead is exactly how Attorney General-elect Letitia James approaches her new role. James, a Democrat who is currently the New York City public advocate, will vacate that position and take charge of a vast and immensely powerful legal office. She has promised to continue the aggressive approach the office of attorney general has taken to President Trump, his administration and his other enterprises, while also taking on criminal justice reform in New York and working to root out public corruption, among other aspects of the role she has said she will embrace. 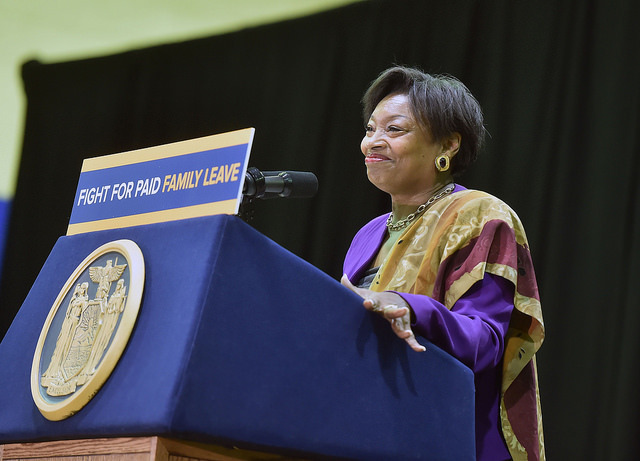 In the face of skepticism about her closeness to Cuomo and other Democrats, James has promised to be an independent voice and to pursue wrongdoing wherever it may be. There is no speculating that much of New York City’s policy agenda depends on legislative action in Albany. Speedy trial and bail reform legislation seen as vital to the effort to close Rikers island jails will be a top priority for progressives in the capital and City Hall. And the renewal of rent regulations presents a major opportunity to reduce the displacement pressures that dog de Blasio’s rezoning and development plans. There is almost guaranteed to be city-state tension in 2019 over funding the MTA, among other policy and budget issues. Under normal circumstances, 2019 would be a quiet year in city politics—an off-year between the 2018 statewide elections and the presidential race in 2020, with municipal elections a full two years off in 2021. But circumstances are not normal. A a citywide official is leaving her office vacant, a veteran district attorney is retiring, and big decisions on everything from charter revision to jail-siting and neighborhood rezoning are due. As is always the case in the years after statewide elections, three district attorney races are on the docket in the city. All five of the city’s sitting district attorneys are Democrats. Incumbent Darcel Clark in the Bronx, who was elected in 2015 with 80 percent of the vote, is unlikely to be threatened. Staten Island's Michael McMahon won his post in 2015 with 55 percent of the vote, and could face a more competitive re-election contest. But the Queens DA's race is shaping up to be the most dramatic affair, with incumbent Richard Brown—who ran uncontested in '15 and has held his post since '91—likely to step down and a roster of well-known names (City Council Member Rory Lancman, former Council Member Peter Vallone, Jr., Queens Borough President Melinda Katz, State Senator Michael Gianaris) in the mix of declared or potential candidates. Letitia James' victory in the race for attorney general means there'll be a special election to fill the post of public advocate. Brooklyn Council Member Jumaane Williams, fresh off his campaign for lieutenant governor, and Bronx Assembly Member Michael Blake are already in the mix for that post, along with a couple of others like Nomiki Konst and David Eisenbach, and a host of other names are considered possible candidates. The special election to select an interim public advocate will be a nonpartisan affair held in early 2019; the winner of that could then face a primary in September before a general election in November 2019 to decide who serves the remainder of James' term. Worth noting: If someone currently in elected office wins the special election for public advocate, there will need to be another election to fill the slot the winner vacates. It could be a very special year. Also expected to be on the ballot next November: the proposals from the City Council's 2019 charter revision commission. The hearings and meetings (and behind the scenes machinations) that will shape those proposals will be a significant story to watch in the city next year, because the changes on the table next November could be the most significant in 30 years. Already, the commission has been asked to consider ambitious alterations to how the city does budgeting and land-use planning. Critical housing policy decisions will come throughout the year. The city's "Where We Live NYC" fair-housing planning process—a landmark examination of whether city housing programs have reduced or exacerbated segregation—is supposed to wrap up by the fall of 2019. A decision could come in the lawsuits over the fairness of the community preference policy and the property-tax system, and the property-tax reform commission empaneled by de Blasio and City Council Speaker Corey Johnson is holding its final first-wave meetings in later November and December and could issue a report soon—with whatever plan emerges subject to intense debate, as well as legislation at both the city and state levels. Major neighborhood rezonings of Bushwick, Gowanus, and Bay Street are likely, with action on Long Island City and the Southern Boulevard area of the Bronx also possible. And the Council and mayor will render decisions on the plans to build new jails to replace the facilities on Rikers Island. Meanwhile, the NYCHA settlement with federal authorities awaits approval—and NYCHA families await another winter and the potential for heat and hot-water problems. The federal criminal investigation of NYCHA and its decision-makers is not over and could produce more news, and some housing advocates will bring more pressure on the mayor to build new senior housing on NYCHA land rather than market-rate units. De Blasio may name a permanent head of NYCHA, or keep the interim leader, Stan Brezenoff, in place. The city will also be looking to Washington for more funding help for public housing, and may put forward a revamped long-term plan for NYCHA that accelerates the pace of development on under-utilized NYCHA land as a way to bring in revenue. 2019 is the year when the hit from the Trump tax plan's capping of federal income tax deductions for state and local taxes will start to affect high earners—and it will be interesting to see if that encourages calls to rein in spending during the city's budget process. As one business advocate notes, "Only a relatively small number of high earners have to relocate to lower tax states for NYC to suffer major revenue losses." People in the top 1 percent – those in the 38,000 households making more than $713,000—earned about 35 percent of the city's income and contributed roughly 44 percent of total income-tax revenue in 2016. But keeping budget growth modest will be challenging, with the MTA, NYCHA, and the public hospital system in need of major investment. The city's ability to implement the Fair Fares Metrocard subsidy program will be tested, and bus riders should get a glimpse of the newly redesigned bus routes coming under the MTA's Fast Forward plan. The rollout of the school desegregation effort in District 15 will continue as New Yorkers get more of a sense of whether and how Richard Carranza will put his stamp on the school system. The x-factor in all these stories is how much power Bill de Blasio will have to shape these critical policy decisions, all of which will help sculpt his legacy. The mayor did little to define a second-term agenda before he was re-elected in a landslide a year ago, and he's not done much to fill in those blanks over the past 12 months. His signature policy idea of 2018, the democracy initiative, has not had an auspicious start, though de Blasio did see the three ballot proposals from his charter revision commission approved by voters on Election Day. While the mayor has made substantive policy moves, on cybersecurity and guns for instance, they have been drowned out by a torrent of dreadful headlines about NYCHA, his school renewal plan, his beef with the Department of Investigations commissioner, and, of course, the "agent of the city" emails. Some of that static is merely what comes with the territory of a second term in one of the toughest jobs in the country. But de Blasio's unusually acrimonious relationship with the press, his feud with a governor who was just resoundingly elected for a third time, the rise of a less-cooperative City Council and the pre-2021 positioning that is already taking place among his partners in government could combine to irreversibly weaken the mayor years before he ought to look like a lame duck. While that might sound like good news to those who dislike de Blasio, the fact is the city's interests in Albany or Washington depend on there being a strong figure in City Hall. Other players might claim some spotlight and gain some juice, but Bill de Blasio is alone at New York City's helm for another 1,150 days. That would be a long time to be adrift. And then there’s Washington. The new Democratic House could move a legislative agenda to try to limit the impact of the limitations on SALT deductions, support infrastructure spending, shore up the Affordable Care Act, and take steps to thwart the president’s harshest moves on immigration -- all of which would have direct impact on New York City and State. But with Republicans maintaining control of the Senate and the White House, Democrats will not be able to move anything through Congress without major compromise. It’s unclear who will lead the House Democrats or what their strategy over the next year will be: seeking a deal with centrist Republicans, or even with the mercurial president himself, to create new policy, or instead maintaining a more combative posture until the 2020 presidential election resets the country. The Iowa caucus, after all, is only 15 months away. by Ben Max of Gotham Gazette & Jarrett Murphy of City Limits. 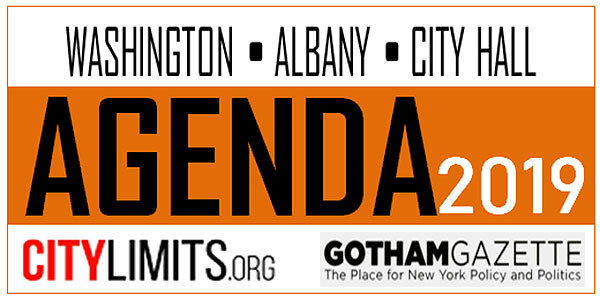 Part of "Agenda 2019," a joint Gotham Gazette-City Limits project to get New Yorkers ready for the political year ahead. State Senate Democrats are already contemplating which policies they will pass under a one-party state government, confident they will win big in the upcoming November 6 elections, keeping control of the governor’s office and Assembly, while flipping the upper house of the Legislature. According to one leader of both the government and campaign agendas, Democrats have a general sense of a two-tiered policy agenda they plan to take up if victorious, prioritizing a long list of stalled progressive demands. Meanwhile, Republicans hoping to cling to their lone stronghold in statewide government, where they currently hold a one-seat majority, campaign on the argument that their control of the Senate is all that is keeping taxpayers from a massive increase in costs, an even more bloated and intrusive state government, and a state virtually run by New York City interests. State Senator Michael Gianaris, a Queens Democrat who chairs the party’s Senate campaign committee, outlined the preliminary agenda on the Max & Murphy program on WBAI radio, citing a series of policies where there seems to be clear consensus and Democrats could move quickly on long-sought bills, and then other, more contentious and complicated legislation that will likely need extensive consideration and negotiation. Gianaris said a unified Democratic state government would make “quick progress” in 2019 on the Reproductive Health Act, which expands abortion rights; a “red flag” gun control bill; and voting and campaign finance reforms. These are among the policies, Gianaris explained, that have been sidelined by the Republican control of the Senate. “We have lost that opportunity because an artificial Republican majority in the Senate has stopped us from voting on the types of things we should be voting on,” Gianaris said, in apparent reference to the fact that Republicans only had a majority because of their coalition with the breakaway Independent Democratic Conference (which is no more) and the decision by Senator Simcha Felder of Brooklyn to join the Republican conference, despite the fact that he is a Democrat. The Reproductive Health Act, which Gianaris mentioned, would essentially pass Roe v. Wade abortion rights into law, something Democrats are especially concerned about given the fear that a new Supreme Court with Justice Brett Kavanaugh will overturn the landmark 1973 abortion decision. The red flag bill would allow teachers and school administrators to petition a judge to remove guns from the homes of students seen as troubled, an additional measure to prevent gun violence in schools. While he didn’t go into detail on consensus around campaign finance reform, Gianaris did emphasize the need for certain voting reforms. Generally, Democrats have been interested in closing the LLC loophole in state campaign finance, reducing individual contribution limits, and creating a system of public campaign financing, perhaps modeled in some way on New York City’s system. These policies would form at least much of the first wave, according to Gianaris, who said they will be doable prior to or in a deal on the state budget, which generally passes at the end of March. Full Democratic control of the executive and legislative branches would test how well the party can come to agreement on the details of a variety of measures where this is broad support in general terms. 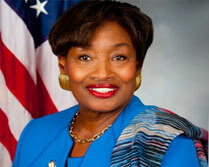 Gianaris, who may be named deputy majority leader to Democratic Leader Andrea Stewart-Cousins if their campaign efforts are successful, did not indicate he was giving a comprehensive list, and there are several politices that Democrats have appeared eager to pass that he did not mention, such as the Gender Non-Descrimination Act and the Child Victims Act. Gianaris said the more contentious policies that may require discussion among the Democratic conference and whose chances of passing could depend on how large the conference is, would likely be discussed in earnest post-budget. Health care and rent regulations were two policy areas mentioned by Gianaris as falling under this category. “The rent laws expire right around June, if I’m not mistaken, so certainly that is going to create pressure to make those changes before the current laws expire,” Gianaris said, previewing what is expected to be one of the most important issues to New York City residents of the 2019 state session, which will be slated to end in June. In the past, the Democratic State Assembly has passed legislation increasing regulations on landowners in the hopes of helping tenants, while the Senate has generally gone along with extensions of the current laws, with some tweaks. Part of the MTA Sustainability Task Force, Gianaris and his colleagues are responsible for coming up with recommendations to Governor Cuomo for how to improve the MTA by the end of the year. A variety of solutions are possible when it comes to dealing with the MTA, with one that comes up in conversation often being congestion pricing, which essentially taxes traffic in hopes of reducing it. When asked about congestion pricing, Gianaris said it may be a step forward but is not a solution to the entire problem. “I don’t think that alone is the silver bullet that solves the MTA crisis,” Gianaris said. “So we’ll have some more work to do.” Cuomo has pledged to fight aggressively for congestion pricing to be included in the next state budget, while also saying he’s awaiting the task force’s recommendations and expects New York City to kick in more to fund the MTA’s tens of billions of dollars in needs. However, as confident as Democrats may be -- Gianaris has said roughly ten seats in the 63-seat Senate could flip their way -- Republicans believe they can hold the chamber, and are arguing that the stakes are incredibly high. In an op-ed written for State of Politics, Senate Majority Leader John Flanagan of Long Island outlined what he believes Democrats would do with complete control of the government, and how it would hurt New Yorkers. “Nobody wants to pay a single cent more in taxes, and only a Republican majority will not allow it,” Flanagan wrote. For his part, Gianaris on Max & Murphy framed Democratic progress as a necessary response to what is happening at the federal level under President Donald Trump and a Republican Congress. “We have an opportunity to lead the nation in standing up for progressive values and pushing back against what’s coming out of Washington,” Gianaris said, “and we have lost that opportunity, in the bluest of blue states,” because of the Republican majority in the state Senate. Elections Day is November 6. Predictions of a nationwide “blue wave” of anti-Trump sentiment resulting in major Democratic gains have been tempered as the president maintains strong support among Republicans and the economy, broadly speaking, is going strong. But even if the blue wave ends up being more like a trickle, that would be good news to state Senator Michael Gianaris of Queens, who chairs the Democratic Senate Campaign Committee (DSCC) and needs to net just one seat this fall to take control of the chamber and thus the entire Legislature. In an interview as the end of session and official start of campaign season approached, Gianaris said Republicans have been holding on to numerous seats by slim margins. “By virtue of the gerrymandering that’s happened here in New York in the Senate, Republican districts are stretched so thin and their margins of victory are always so narrow that a trickle is enough for us to make a difference,” he told Gotham Gazette. “It’s just a question of degrees. Any tip in our favor will lead to more seats in our hands, and we’re one seat shy. So, we’re very optimistic,” he said, echoing a sentiment shared by Senate Democratic Leader Andrea Stewart-Cousins, who could become the first woman and first woman of color to lead the Senate if the Democrats take control. Gianaris said the DSCC won’t start investing in individual Democrats’ campaigns until late summer or early fall. He mentioned numerous seats the committee might target throughout the state, though it is yet to make a decision about Senator Simcha Felder and his Brooklyn district. Republicans are blocking Democrats from controlling the chamber thanks to Felder, who is a registered Democrat and has repeatedly run on the Democratic line, but caucuses with Republicans. Felder ran unopposed in 2016 and appeared on both major party ballot lines. At their state nominating convention last month, Democrats passed resolutions to kick Felder out of the party and support a challenger to him. He is still running as a Democrat, though. While Gianaris called Felder’s seat “a hostile district” -- and he faces a Democratic primary challenger, Blake Morris -- Gianaris said the DSCC was still waiting to determine if it would get involved in the race. Most of those opportunities appear to be outside the five boroughs -- there are just three members of the Senate Republican conference that represent New York City districts -- Senators Felder, Marty Golden, and Andrew Lanza. Gianaris also shied away from committing to either of the Democrats in the other potentially intriguing New York City general election Senate race, for Golden’s Brooklyn seat (Lanza, of Staten Island, is not seen as beatable). The incumbent has provoked a streak of damaging headlines -- ranging from alleged threats against a bicyclist to parachuting while receiving disability payments -- providing Democratic challengers Ross Barkan and Andrew Gounardes plenty of fodder for attacks. “There’s one blunder after another that will make that race even more possible than usual,” said Gianaris. Golden ran unopposed in 2016. He won easily in 2014 and 2012, when he beat Gounardes by a decisive margin. As this year’s legislative session ended, the Senate -- Republicans’ only stronghold at the state level given Democratic control of the Assembly and all four statewide positions -- was deadlocked 31-31 between Republicans and Democrats since the GOP’s 32nd senator, Tom Croci of Long Island, was called to active duty with the Navy last month. Through the fall elections, Democrats must net just one seat to take the majority in the chamber for the first time in nearly a decade. Depending on the results of the gubernatorial race -- no Republican has been governor since 2006 -- Democratic control of the upper chamber could pave the way for passage of a slew of the party’s priorities. Gianaris indicated Democrats are likely to focus on two Long Island seats where the incumbent won by razor-thin margins two years ago: Republican Senator Carl Marcellino, who won parts of Nassau and Suffolk Counties by less than 1 percent of the vote; and Democrat Senator John Brooks, who won by an even smaller margin. Gianaris also pointed to the high number of Republicans who have announced they aren’t seeking reelection. In addition to Croci, they include John Bonacic of the Hudson Valley, John DeFrancisco of Syracuse, William Larkin of Orange County, and Kathy Marchione of Saratoga. Not all of the seats are in play for Democrats, but some appear to be. Gianaris is also eyeing Republican seats that Democrats have won in the past - the 46th district outside Albany, currently held by George Amedore; and the 41st district in the Hudson Valley, where Sue Serino is the incumbent. “Before you know it, you’re looking at 10 to 12 pockets of opportunity on offense and, effectively, the only seat we have to defend is John Brooks,’” he said. Senate Democrats have crowed over Republicans’ resignation announcements, saying they show the GOP knows it’s doomed this year. A Senate Republican spokesperson did not answer a request for comment for this article. Senator John Flanagan, the Senate majority leader, has tried to sound a confident note amid the flurry of resignations. "New Yorkers know that our Majority is the only thing standing in the way of the New York City politicians implementing an agenda that will hurt our economy and make life more difficult for hardworking middle-class taxpayers," he told the New York Daily News. "We will succeed in November and maintain our majority so the true priorities of New Yorkers continue to be put first." Senate Democrats increased their ranks in April, when the group of eight renegades known as the Independent Democratic Conference (IDC) ended its coalition with Republicans and rejoined the mainstream Democratic fold, taking the conference from 23 to 31 members. The move came as nearly all of the IDC members faced primary challengers who decried them as “Trump Democrats” willing to empower Republicans in order to gain perks at the expense of progressive values. 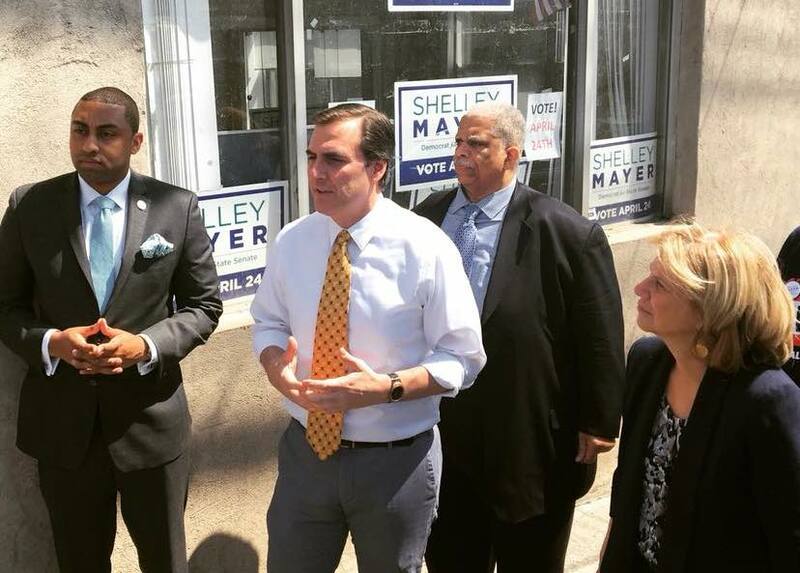 Gianaris was one of the strongest critics of the IDC during its seven-year alliance with Republicans, and he was part of a long-term feud with Senator Jeff Klein, the leader of the IDC. But Gianaris said the DSCC has no intention of supporting challengers like Alessandra Biaggi, who is running against Klein, of the Bronx, as long as the ex-IDC members don’t break their promises. 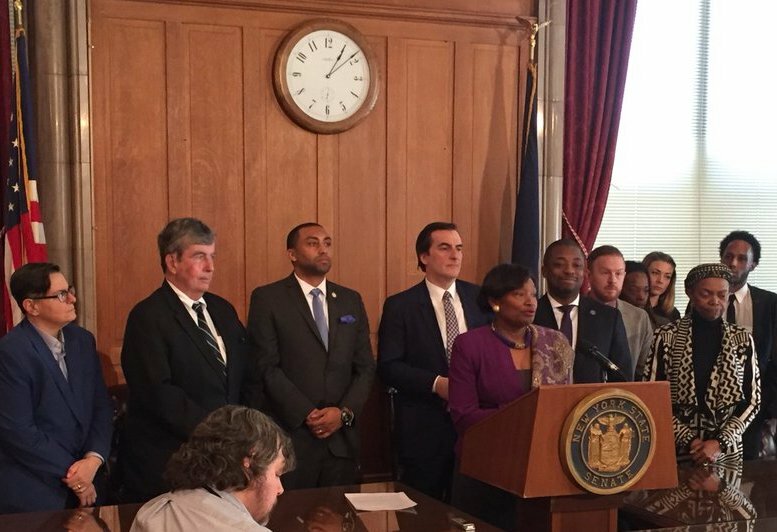 Gianaris noted that Senator Stewart-Cousins, the Democratic leader, is supporting all members of her conference, including former IDC members, a point she recently stressed during a Gotham Gazette/City Limits podcast appearance. Asked whether he would go so far as to discourage Democrats from challenging ex-IDC members, Gianaris declined to comment. 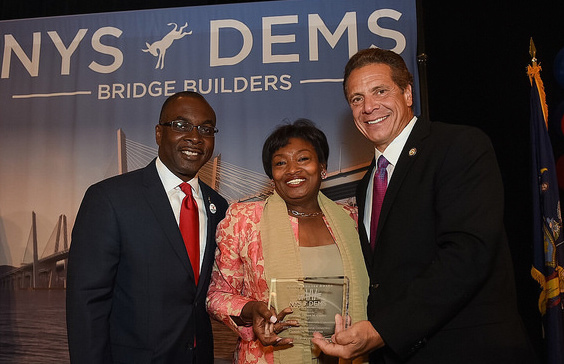 “Everyone seems to be on their best behavior on both sides and there seems to be genuine effort to work cooperatively and get to where we’re trying to go, so hopefully that continues,” he said of the Democratic conference since ex-IDC members rejoined it. “But I can say…there’s been action behind the words. Hopefully that holds,” he added. As in previous years’ elections, the Republican campaign committee has much more cash than the Democrats do -- $1,549,017.70 compared to $691,274.46, according to the latest disclosure reports. However, Gianaris said trends are favoring Democrats this year. Around this time in the 2016 election cycle, Republicans had more than $2 million and Democrats had a little over $225,000. True to his role as Democratic cheerleader, Gianaris said he’s confident this year will bring a “blue wave” to the state.